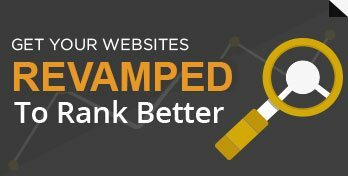 Optimizing your website for the internet as accessed on desktops and laptops is not enough to enhance your site’s visibility. With more and more users moving onto mobile phones and other handheld devices to access websites, you need to have your mobile site optimized too. The number of mobile sites is growing each and every day thus imposing threat to your site’s presence. At Search Eccentric, we have taken a step forward to enable your site to have high degree of visibility irrespective of which device is used to surf the internet. We have professionals who are proficient in online marketing techniques as well as in mobile optimization. With the alarming rise in competition, we understand how challenging it can be to have your brand distinguished from the crowd. This is why we offer unique or innovative techniques to optimize your site for a variety of mobile handsets and handheld devices. This has become even more important as now leading search engines like Google and Yahoo are showing up search results and directories compatible on any mobile device. Searching for keywords compatible to mobile websites can be a daunting task as there is no perfect tool available that can help find such keywords. This is where we use our creative mind and help propose a list of keywords that can best yield results. We monitor search activities as well as trends to finalize a list of keywords for your mobile website. We use the latest techniques in validating the underlying code that can help boost your site’s ranking on mobile search engines. This would further enable your site to be indexed on mobile search engines. Content is the best resource to pull traffic and help you get listed on search engines. We can optimize the content on your mobile website so that your site can be picked up by search engines and you get maximum traffic. We can create a proper sitemap for your mobile website and have that submitted on mobile search engines. This would allow faster indexing and increase accuracy. We propose to participate in mobile social media communities so as to enhance the visibility of your mobile website and to ensure you get relevant traffic.